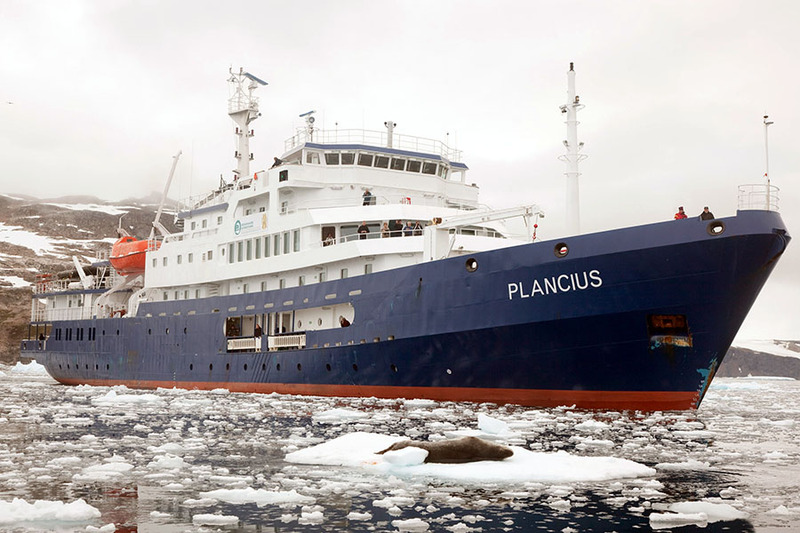 Australis is an expedition cruise company that specializes in exploring the "end of the world" - the pristine waterways of Patagonia and Tierra del Fuego at the bottom end of South America. Catering to only around 200 passengers maximum, these ships undertake three, four and seven night itineraries between September and April each year. Voyages sail between Punta Arenas (Chile) and Ushuaia (Argentina) along the Strait of Magellan, the Beagle Channel and other legendary passages including many places where few other cruise ships venture. Check in at 160 Juan Manuel de Rosas Street in downtown Ushuaia between 10:00 and 17:00 (10 AM-5 PM) on the day of your cruise departure. Board the M/V Stella Australis at 17:30 (5:30 PM). After a welcoming toast and introduction of captain and crew, the ship departs for one of the most remote corners of planet Earth. During the night you traverse the Beagle Channel and cross from Argentina into Chilean territorial waters. The lights of Ushuaia disappear as you turn into the narrow Murray Channel between Navarino and Hoste islands. Around the break of dawn, Stella Australis crosses Nassau Bay and enters the remote archipelago that comprises Cape Horn National Park. Weather and sea conditions permitting, you shall go ashore on the windswept island that harbors legendary Cape Horn (Cabo de Hornos). Discovered in 1616 by a Dutch maritime expedition and named after the town of Hoorn in West Friesland Cape Horn is a sheer 425-meter (1,394-foot) high rocky promontory overlooking the turbulent waters of the Drake Passage. For many years it was the only navigation route between the Pacific and Atlantic, and was often referred to as the "End of the Earth." 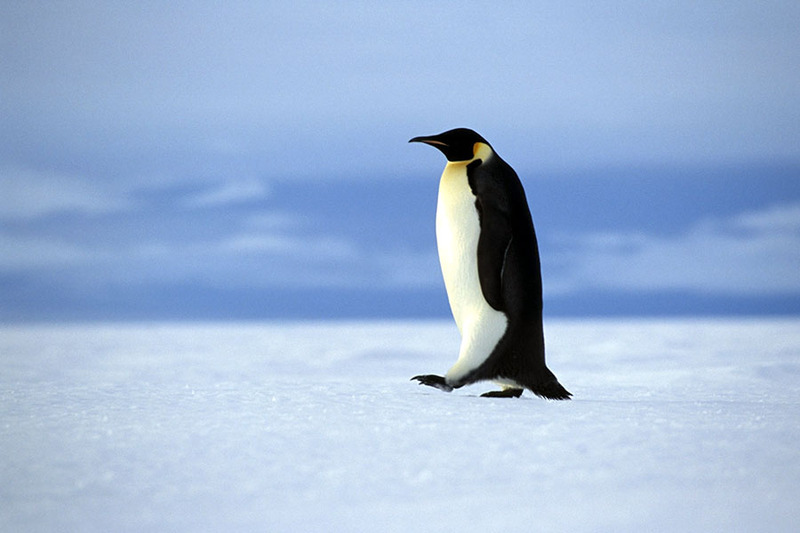 The park was declared a World Biosphere Reserve by UNESCO in 2005. The Chilean navy maintains a permanent lighthouse on the island, staffed by a lightkeeper and his family, as well as the tiny Stella Maris Chapel and modern Cape Horn Monument (currently awaiting repair after being damaged by fierce winds). Sailing back across Nassau Bay, the ship anchors at fabled Wulaia Bay, one of the few places in the archipelago where the human history is just as compelling as the natural environment. Originally the site of one of the region’s largest Yámana aboriginal settlements, the bay was described by Charles Darwin and sketched by Captain FitzRoy in the 1830s during their voyages on HMS Beagle. This area is also renowned for its mesmerizing beauty and dramatic geography. After a visit to the Australis-sponsored museum in the old radio station, which is especially strong on the Yámana people and European missionaries in the area, passengers have a choice of three hikes (of increasing degrees of difficulty) that ascend the heavily wooded mountain behind the bay. On all of these you stroll through an enchanted Magellanic forest of lengas, coigües, canelos and ferns to reach panoramic viewpoints overlooking the bay. After nightfall you re-enter the Beagle Channel and sail westward along the southern edge of Tierra del Fuego into a watery wonderland protected within the confines of Alberto de Agostini National Park. Rounding the Brecknock Peninsula as the western extreme of Tierra del Fuego, Stella Australis is briefly exposed to the open Pacific. You then navigate a zigzag route through the Cockburn Channel, Magdalena Channel and Keats Fjord to reach scenic De Agostini Sound. Named after an Italian Salesian priest who worked among the region's indigenous people during the first half of the 20th century, De Agostini Sound is flanked by numerous glaciers and sheer saw-toothed peaks reminiscent of Torres del Paine. Our shore excursion this morning is Águila ("Eagle") Glacier, which hovers above a placid glacial lagoon surrounded by primeval forest. 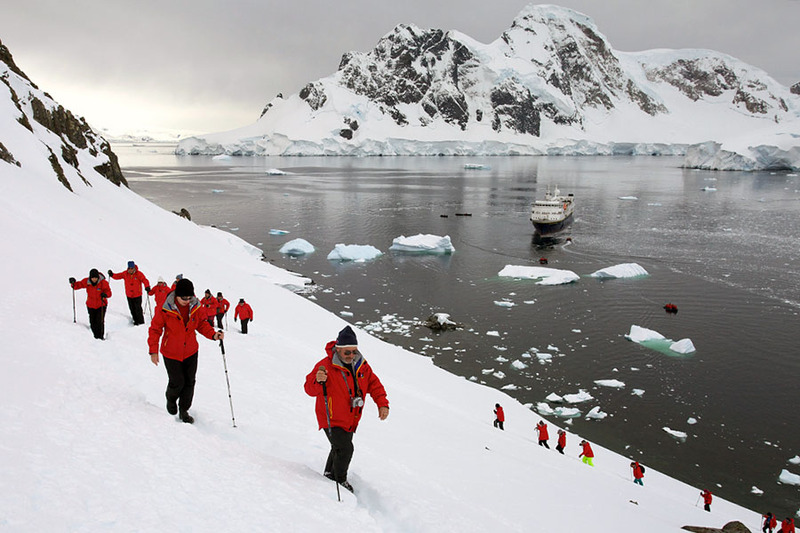 After a Zodiac landing on the beach, passengers hike around the edge of the lagoon to a spot near the base of the frozen facade. Condors can sometimes be seen winging high above, but there is always abundant bird life around the lagoon. This landing provides the perfect opportunity to experience the beauty of Patagonia’s sub-Antarctic rainforest and to see how the power of nature has molded the spectacular landscape. After an overnight cruise through Magdalena Channel and back into the Strait of Magellan, you anchor off Magdalena Island, which lies about halfway between Tierra del Fuego and the Chilean mainland. Crowned by a distinctive lighthouse, the island used to be an essential source of supplies for navigators and explorers and is inhabited by an immense colony of Magellanic penguins. At the break of dawn, weather permitting, we go ashore and hike a path that leads through thousands of penguins to a small museum lodged inside the vintage 1902 lighthouse. Many other bird species are also found on the island. In September and April, when the penguins dwell elsewhere, this excursion is replaced by a ride aboard Zodiacs to Marta Island to observe South American sea lions. After a short cruise south along the strait, disembarkation at Punta Arenas is scheduled for around 11:30 AM. 3 nights on board the Stella, Australis. Price is based on a lead in cabin, speak to one of our consultants to upgrade.